We have not created a new needle felting project in a while, so we decided it was time to get back to this wonderful crafting technique! 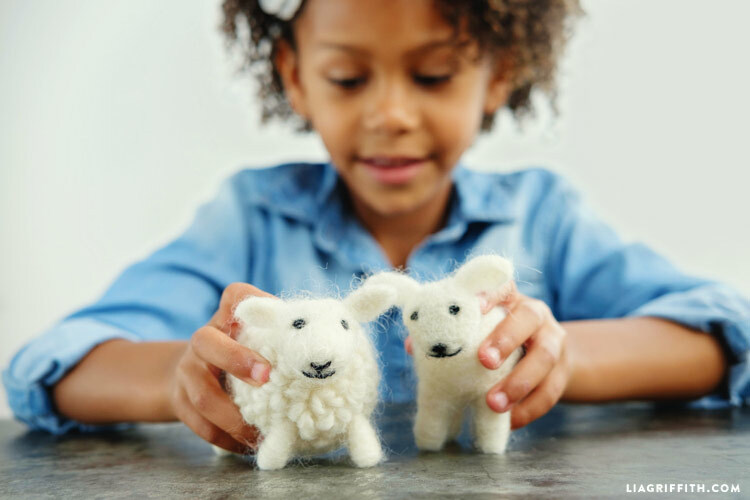 In the past we received a project suggestion for felted farm animals, so we are starting that series off with these adorable wool felted sheep. 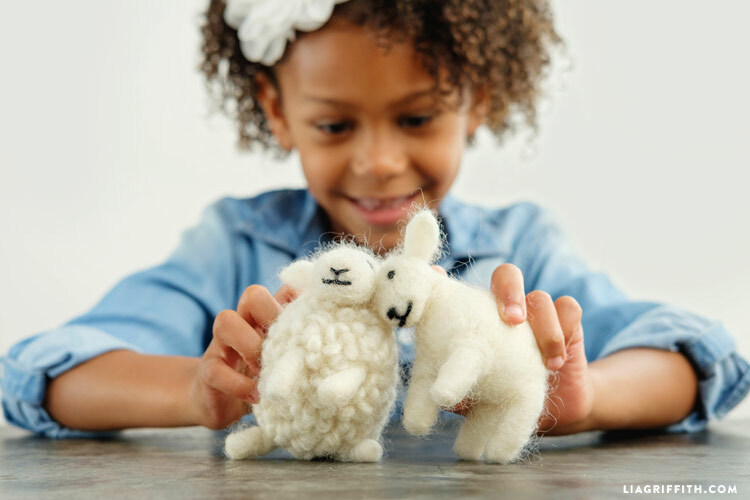 Grab your roving wool and let’s get crafting! These felted sheep have a foam egg base, which makes them much easier to craft than if it were all roving wool. Our foam eggs were about 2.5 – 3 inches long, but you can make the sheep whatever size that you would like. To make this project you will need roving wool (white and a bit of black), a felting needle, pipe cleaners and some black embroidery floss or yarn. It is also helpful to use a needle felting pad for this process (see Shop this Project!). Start the project by playing around with your foam egg to form the shape of the sheep body. Wrap white roving wool around the foam egg and attach it using the felting needle. Next, form the head and ears. Use the pipe cleaners as a foundation for your legs and then attach each piece to the body with hot glue. Follow the step-by-step photo tutorial below while you craft. To form the faces of the felted sheep use a bit of black roving felt for the eyes. You can also use embroidery floss or yarn for this. After the eyes are finished, create a little mouth with the same material. Once this step is complete, your lamb is finished! 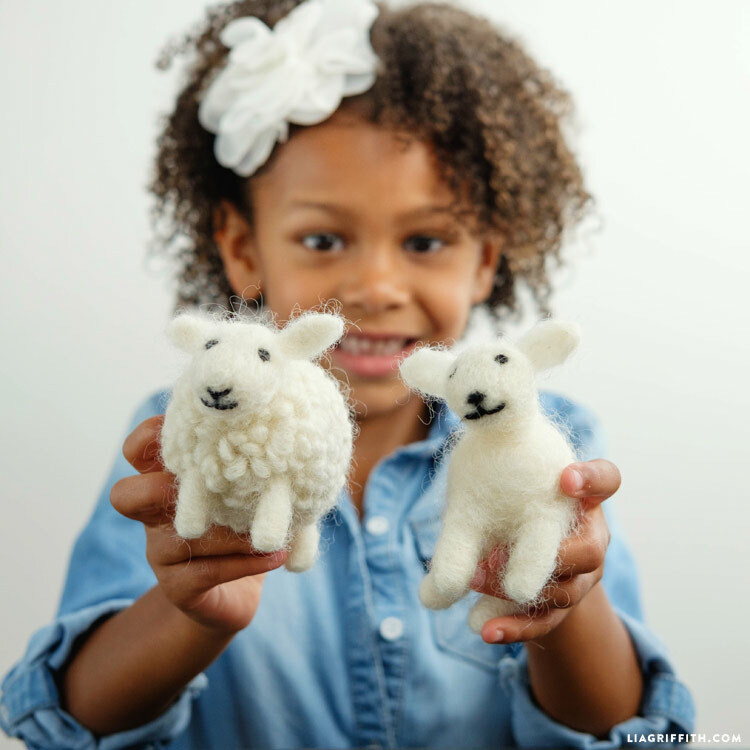 If you want to make a full, fluffy sheep, continue on with the photo tutorial. 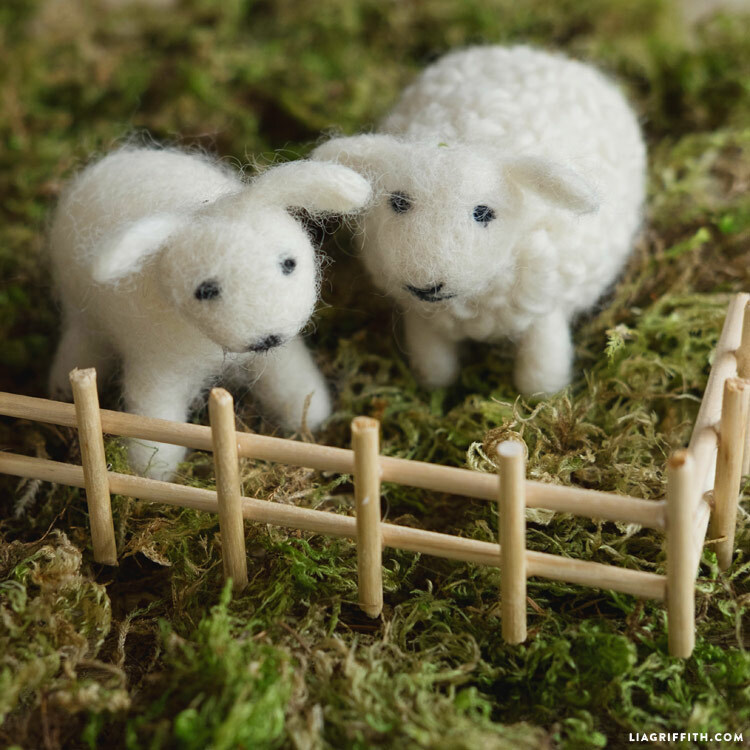 And check out all of our needle felting projects for more inspiration! 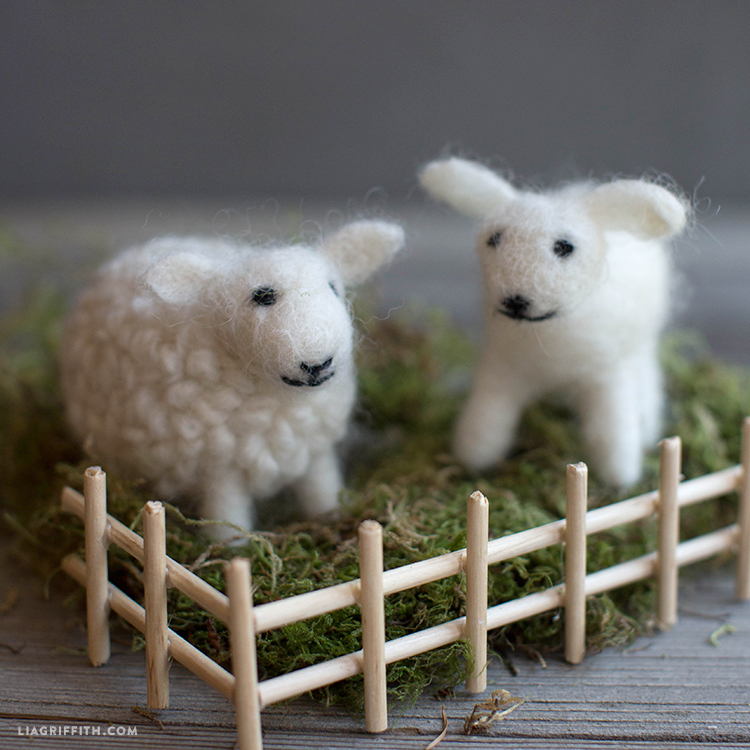 If you feel like making a fence for your felted sheep like we have, simply use hot glue and wooden dowels. This is so cute!! Where can I buy this?? I love sheep and want to know if there is a Tutorial? and where do I purchase the material to make them? Thanks Barbara! There’s a photo tutorial in the post, but the video I did for needle felted robins may be helpful: https://liagriffith.com/needle-felted-birds-video/. The materials are linked at the bottom of the post under “Shop This Project”. Hi Coby, we plan to make a video tutorial soon! We have several felted projects that each have tutorials that may help: https://liagriffith.com/search/felted. I raised sheep growing up and these look just like my little ones!!! Adorably genuine! So refreshing! Thank you, that means a lot to hear!